Smith & Wesson Frame Lock Pocket Knife | BUDK.com - Knives & Swords At The Lowest Prices! 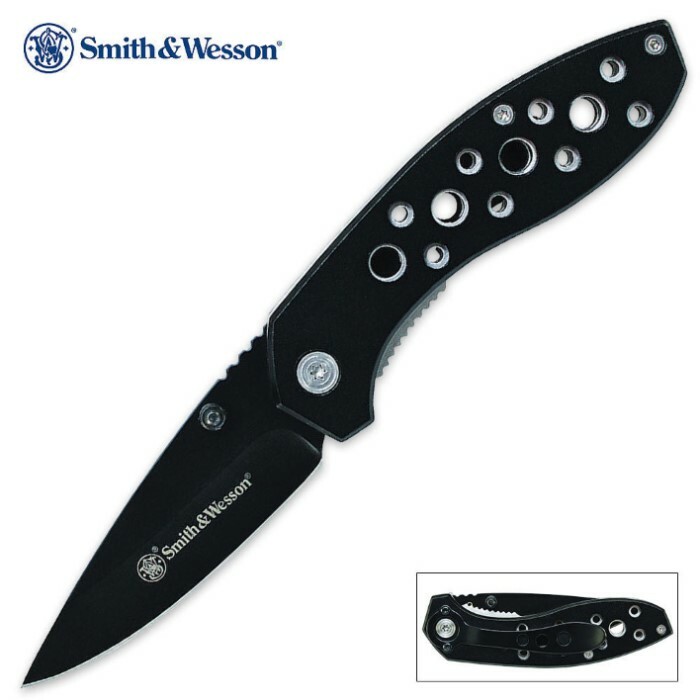 Enjoy a stylish appearance with this snazzy folding pocket knife from Smith & Wesson featuring decorative circular cut-out designs incorporated into the handle. The 2.8" drop point stainless steel blade has a non-reflective anodized black finish with a sharp edge and piercing point. 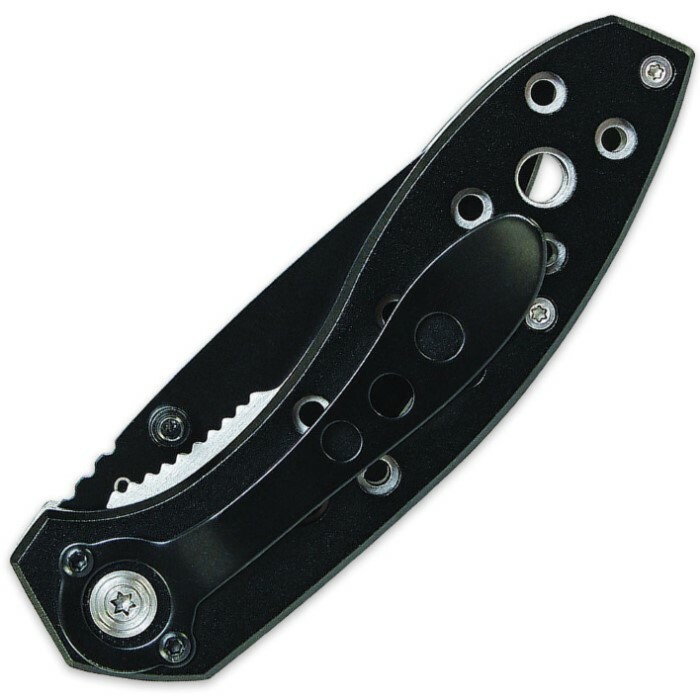 Dual thumb knobs provide one-hand access to the 7Cr13MoV high carbon steel blade, and the machined steel handle has a brushed finish with a sturdy frame lock mechanism. It's an ideal choice for an everyday carry pocket knife at 4" in closed length.